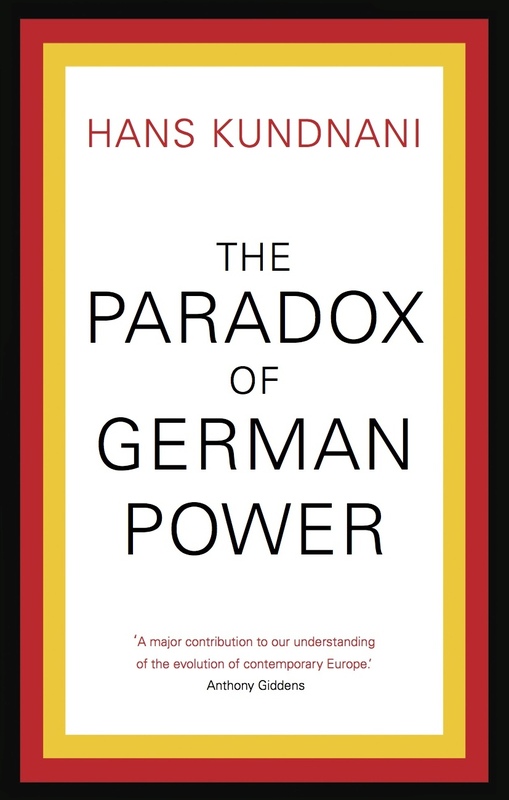 The Paradox of German Power was published in the UK in December 2014 and the US in January 2015. You can order it at Amazon.co.uk and Amazon.com. It has been reviewed in the Financial Times, Wall Street Journal, Foreign Affairs, International Affairs and Internationale Politik. Spiegel Online also published an interview with me about the book. It has also been translated into German, Italian, Korean and Spanish. I just finished your book. I’ve found it very interesting, explanatory and innovative. It breaks new ground on the subject of Germany. Congratulations. It was particularly satisfying to me, myself an author of a recent book on Germany, to see how you give a wider context to observations on the ground that I researched and acknowledged during my not-so-long life in Germany. Very nutritious food for thought. More nutritious even because I don’t always agree. Finally, it is a pleasure to cross paths with a fellow journalist and Columbia Alumni and see they are up to something avant-garde.